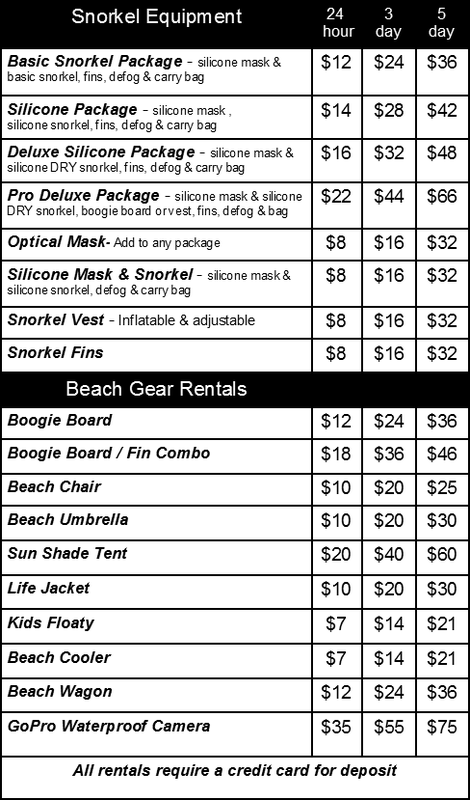 Rent Your Gear at Aqua Zone & Save! Avoid the lines & high cost renting at Hanauma bay. ​Get fitted up at our Marriott location to ensure a fun snorkeling adventure. We have a wide variety of dive & snorkel gear for rent as well as boogie boards, dive floats & markers. Rx lenses too! We have 1, 3 & 5 Day rental packages available. Includes: silicone mask, snorkel & fins. Defog and carry bag.